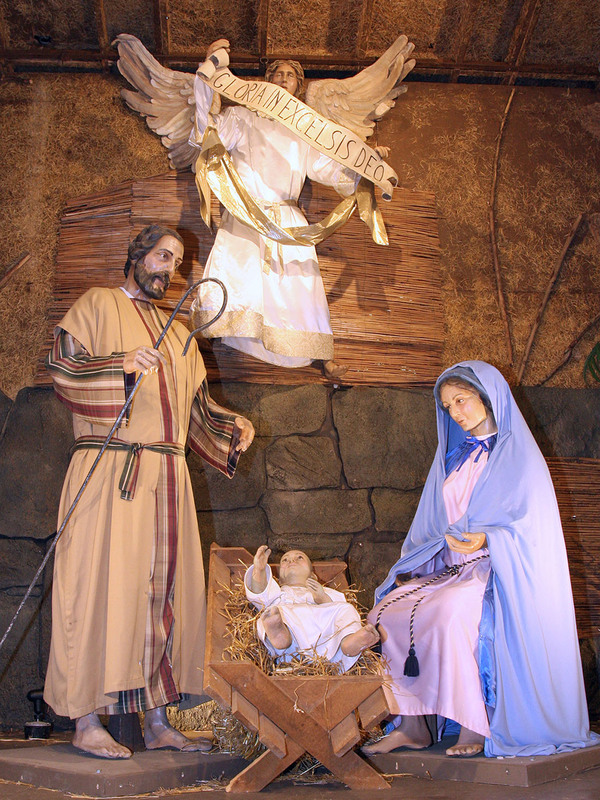 The year was 1999. 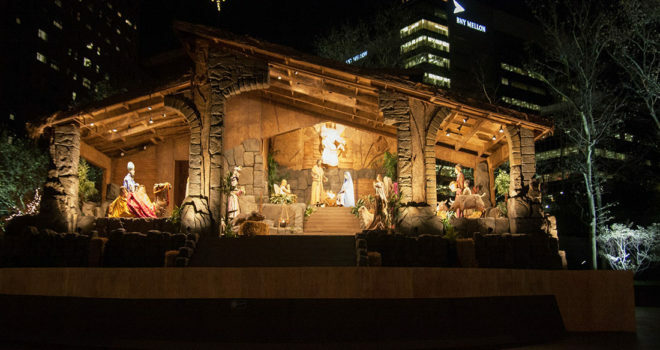 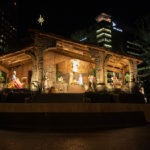 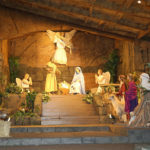 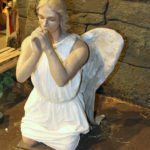 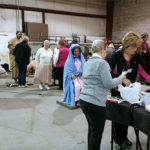 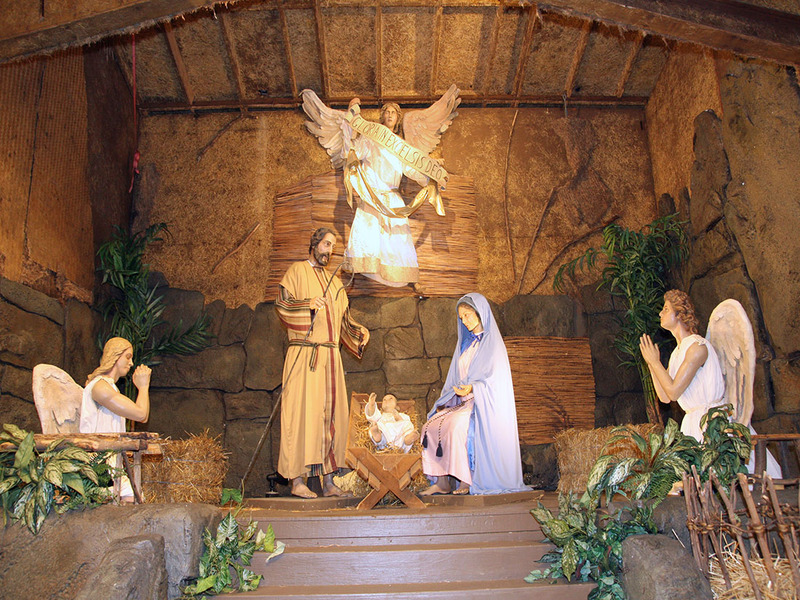 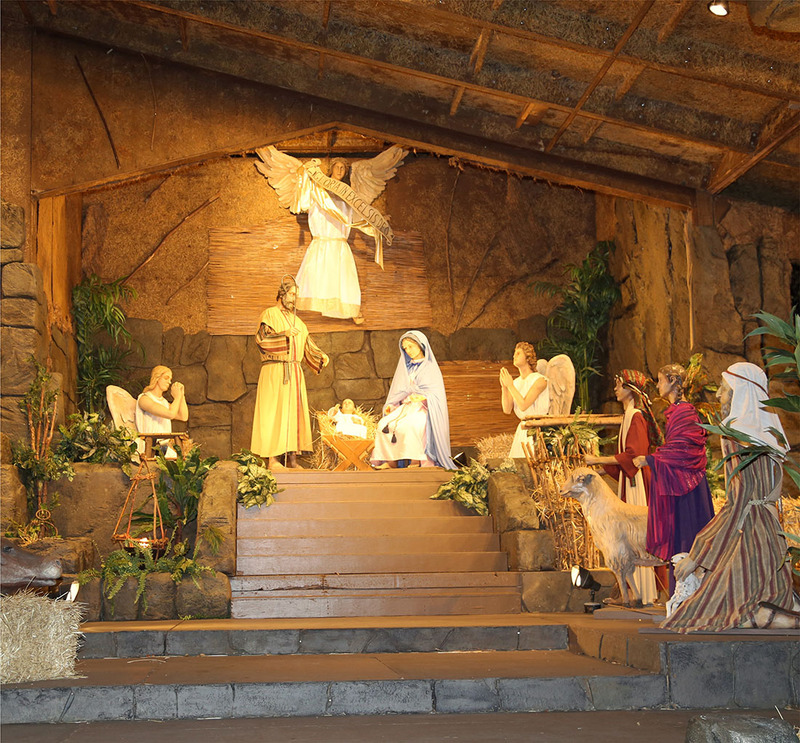 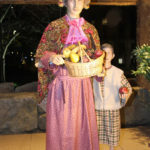 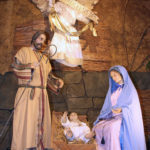 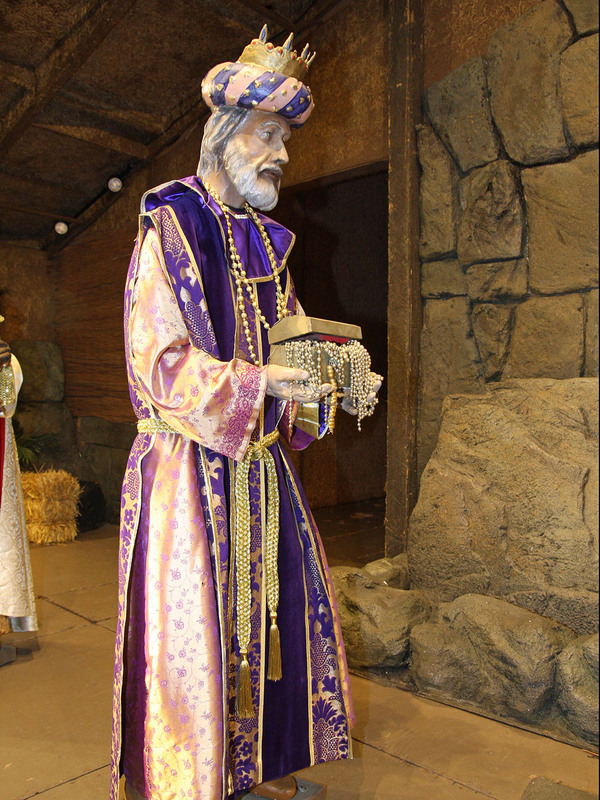 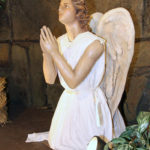 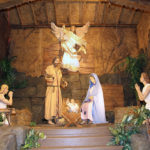 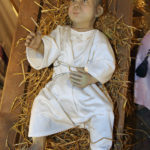 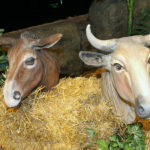 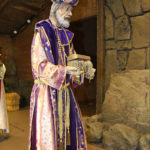 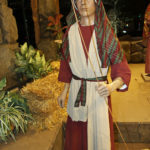 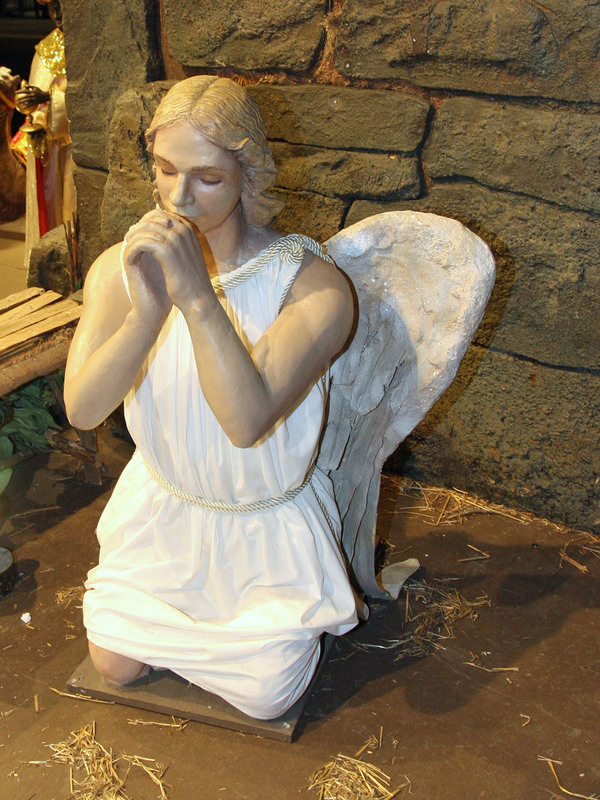 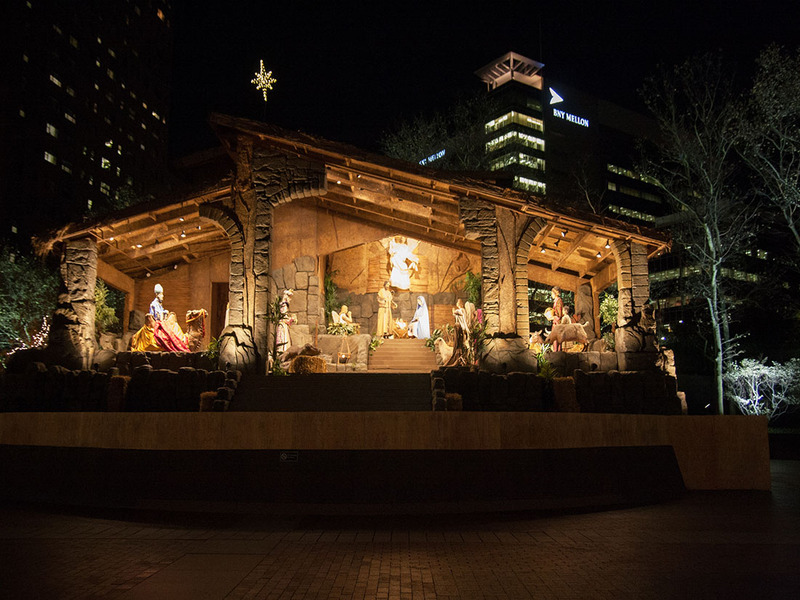 The event was the dedication in Pittsburgh of the only replica of the Christmas Creche modeled after the Creche in St. Peter’s Square in Rome. 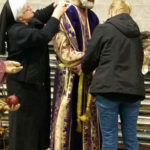 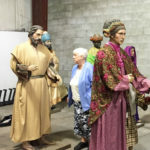 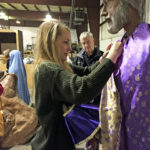 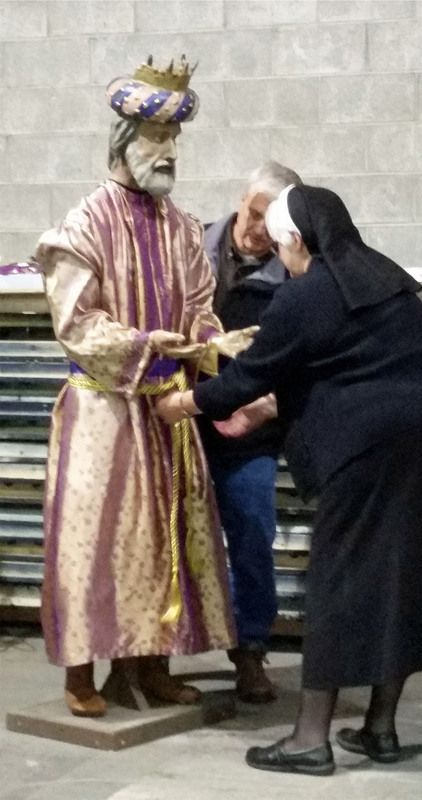 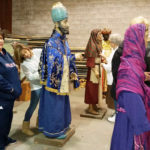 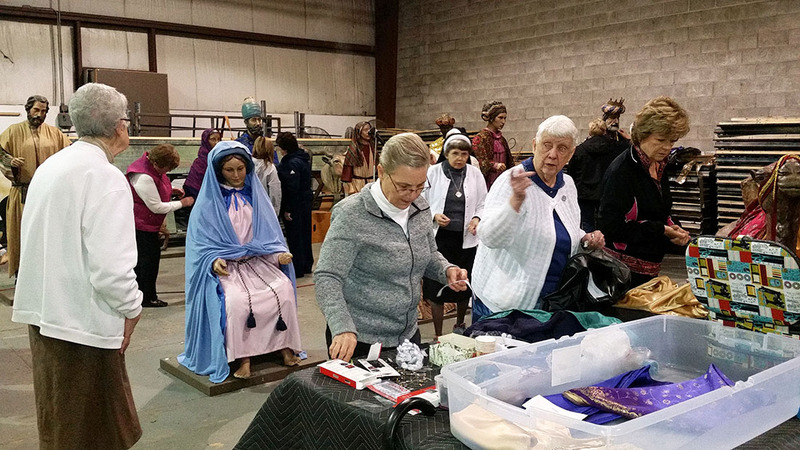 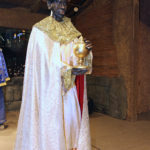 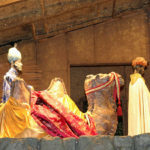 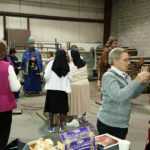 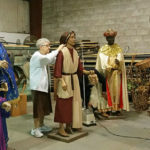 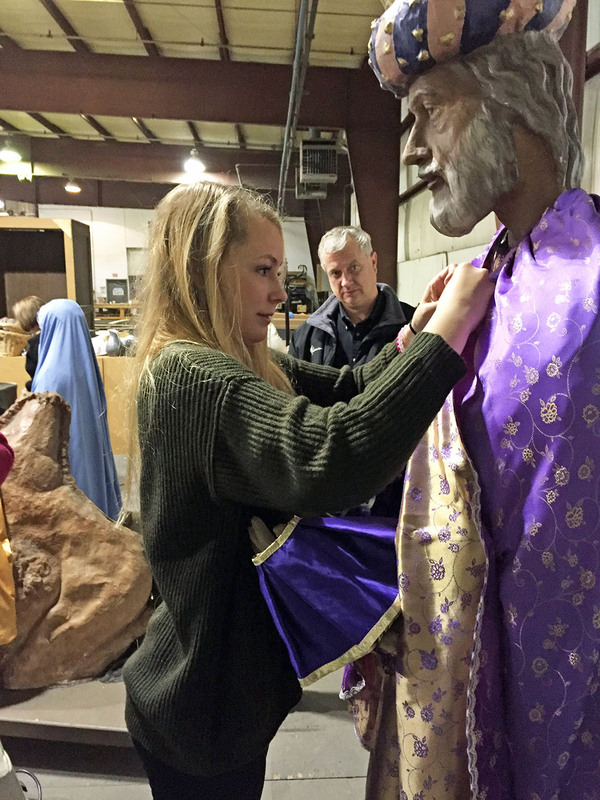 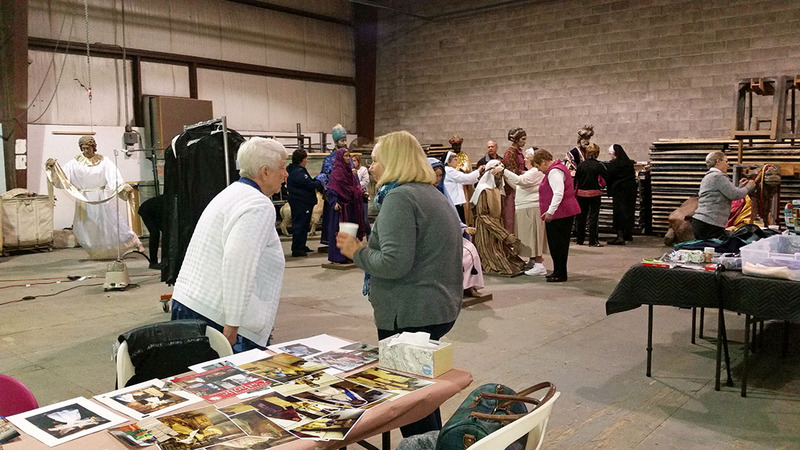 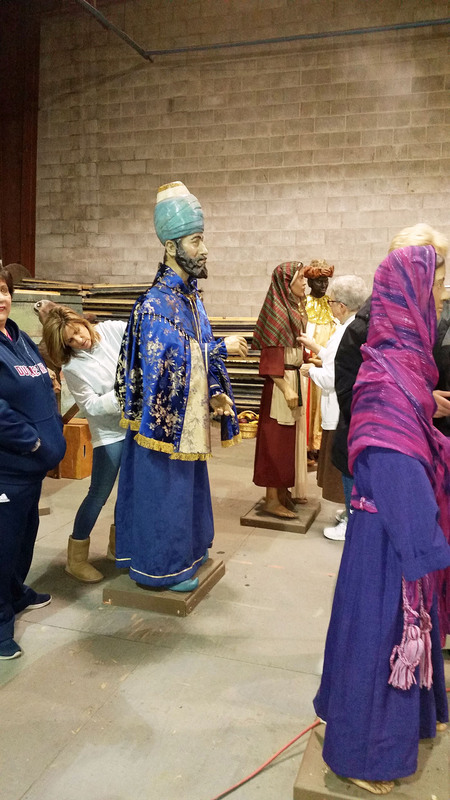 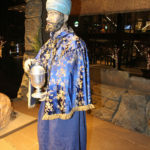 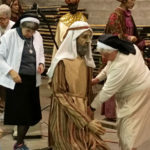 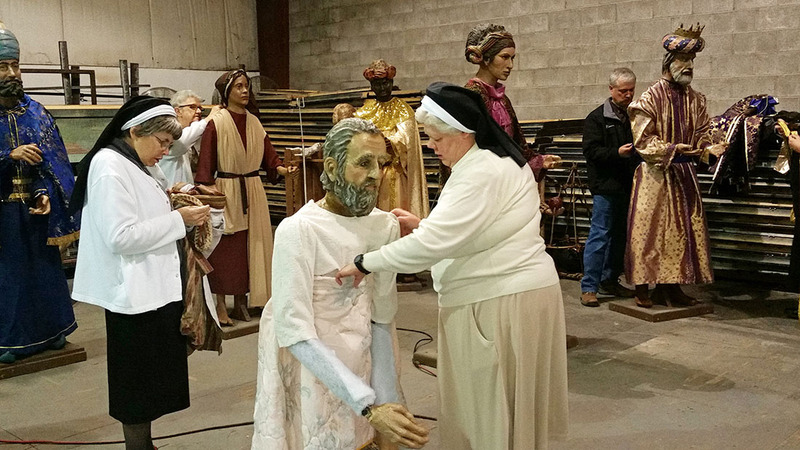 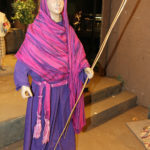 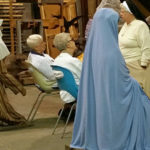 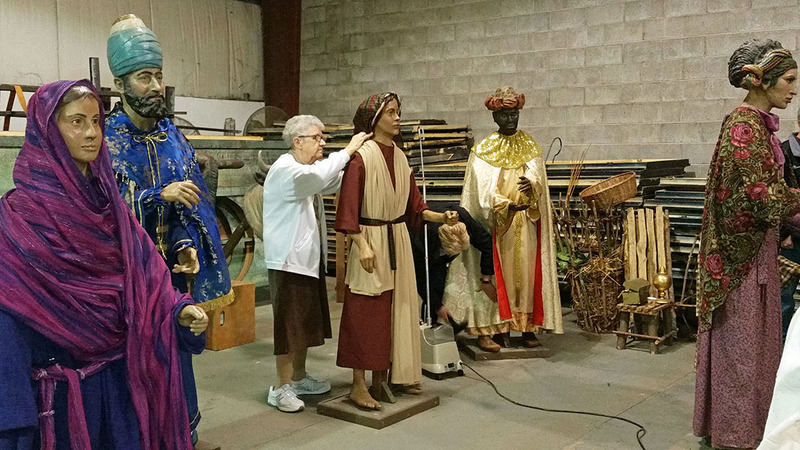 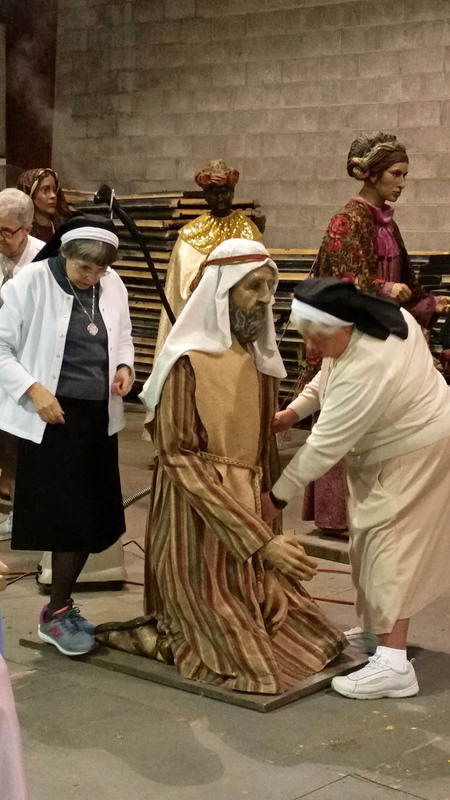 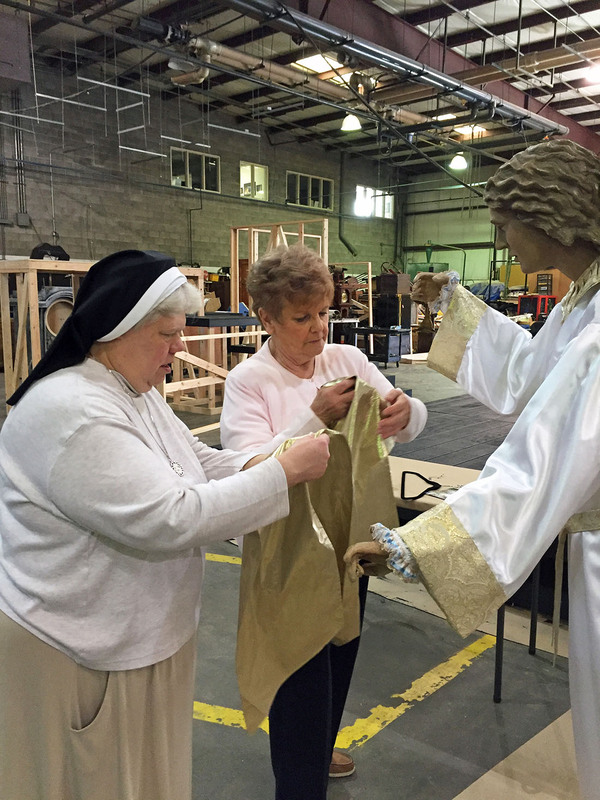 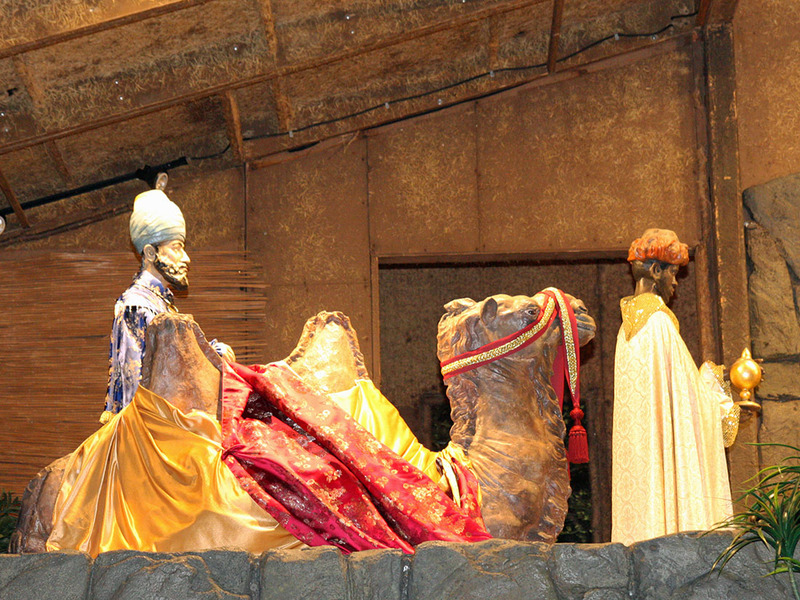 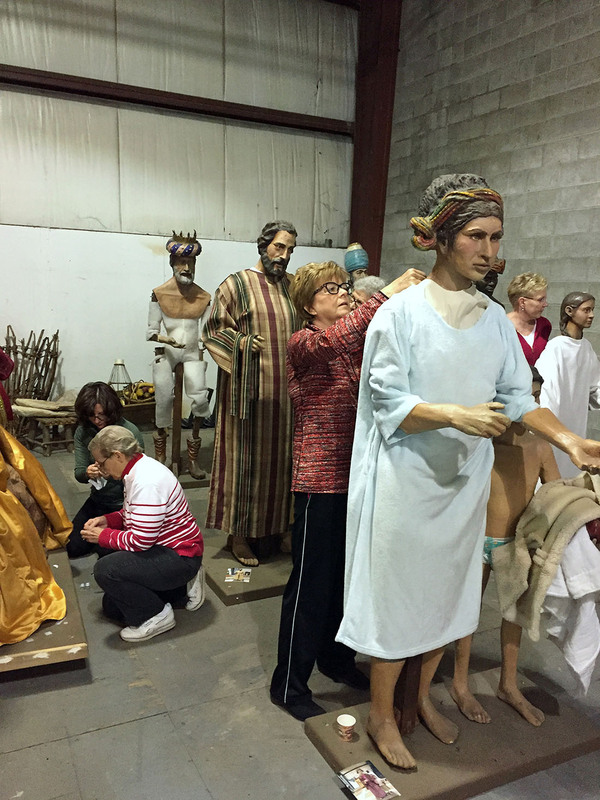 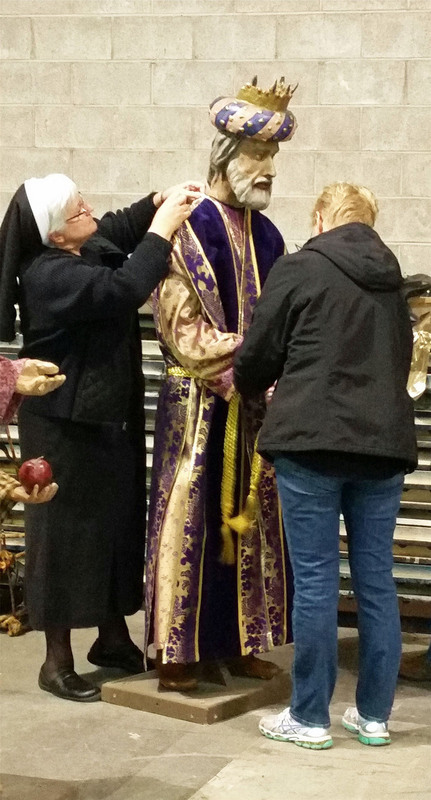 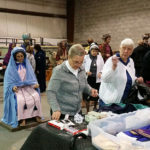 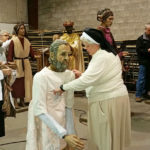 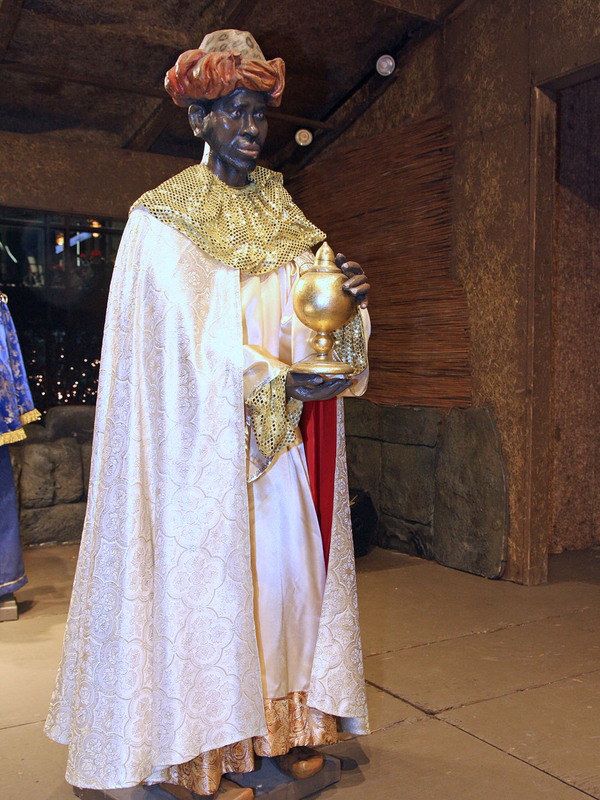 That year three Sisters of the Holy Spirit, Sister Bridget Miller, Sister DeChantal Serwinski, and Sister Patricia Hawrylak responded to a request to sew costumes for statues of the Three Kings. 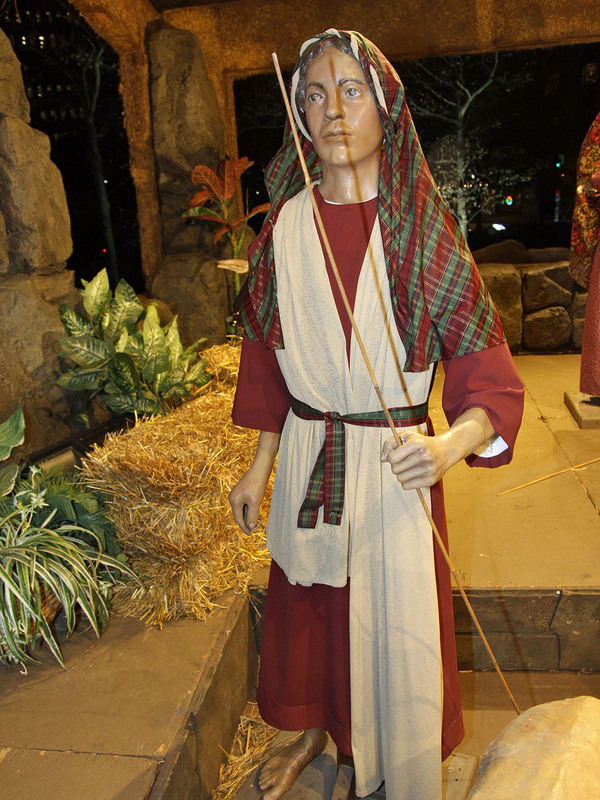 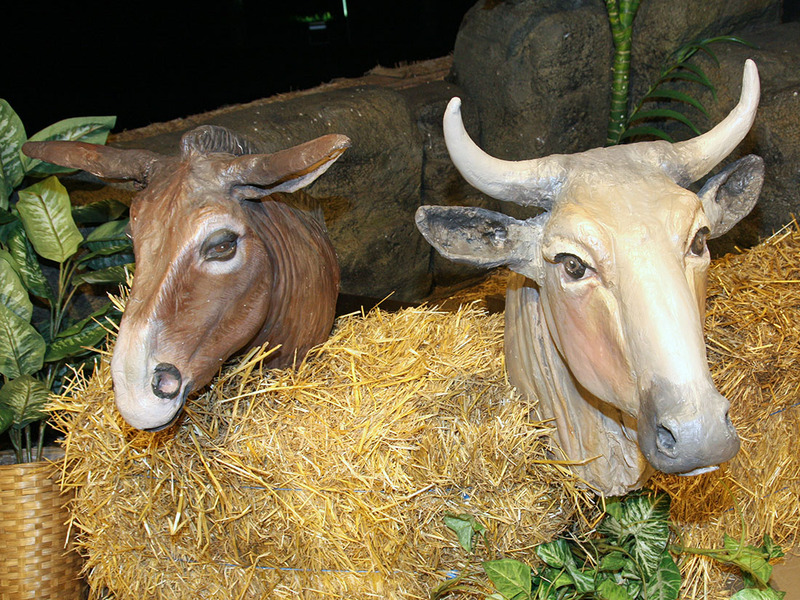 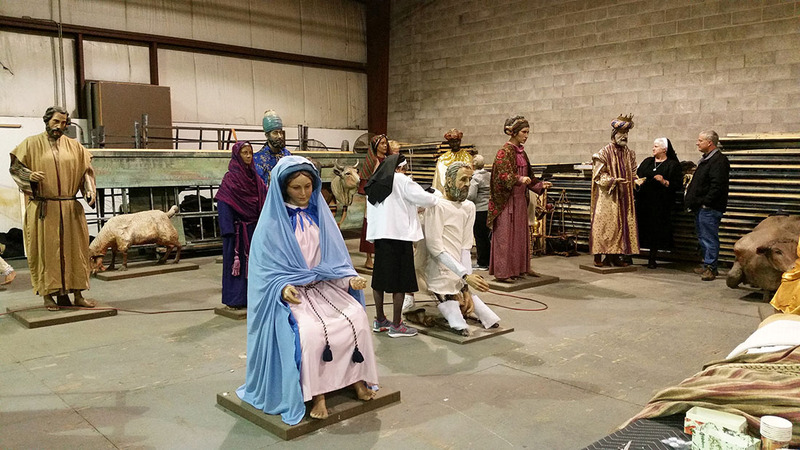 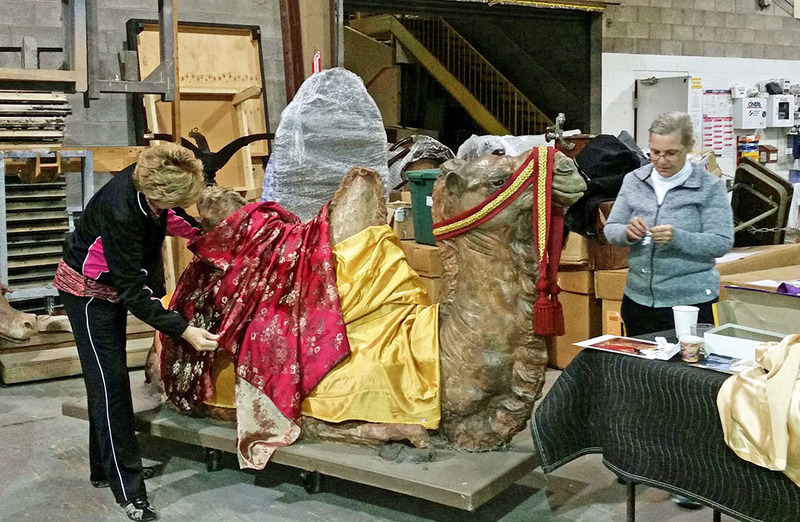 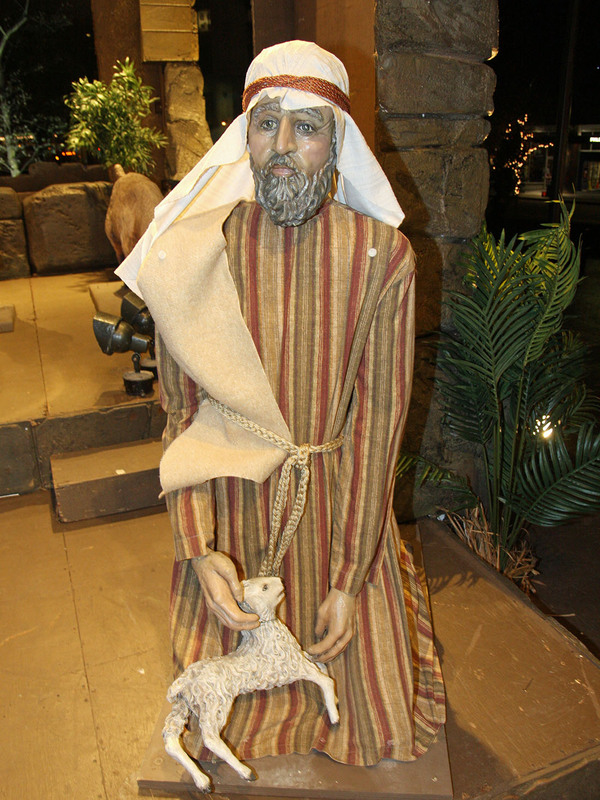 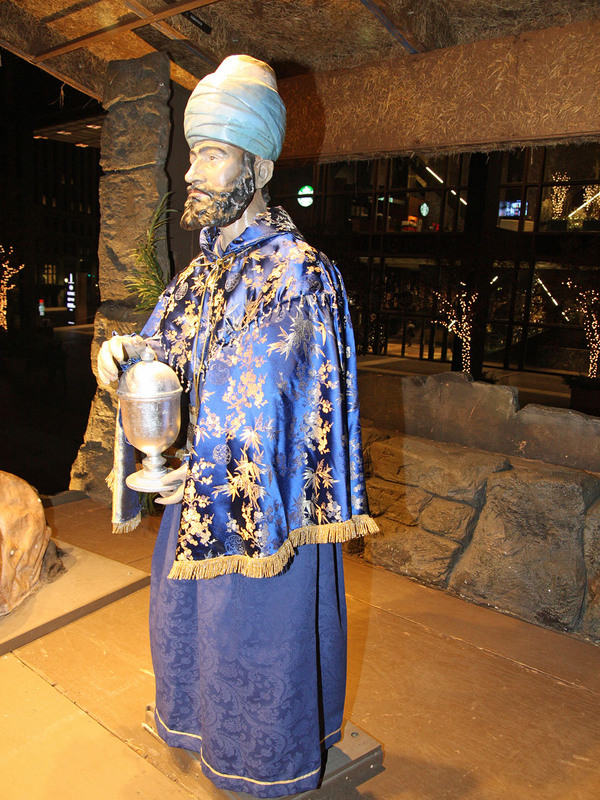 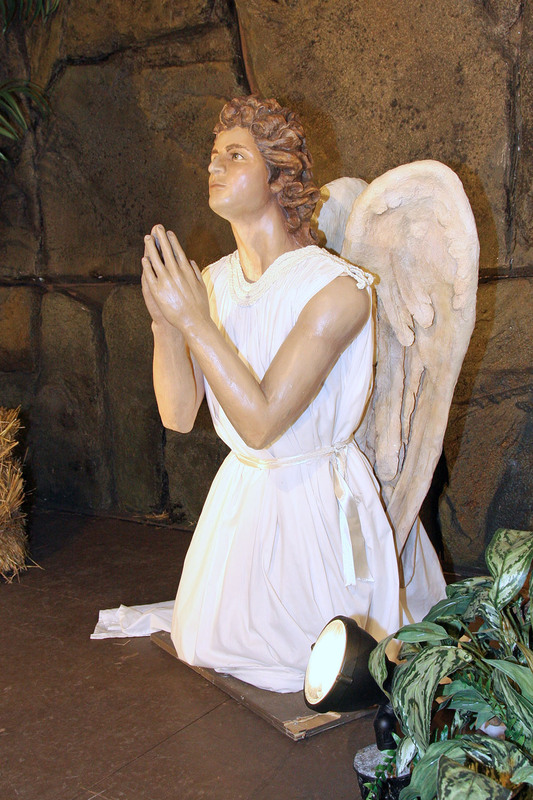 This Nativity scene was to be built and situated in the plaza of the U.S. Steel Tower in downtown Pittsburgh. 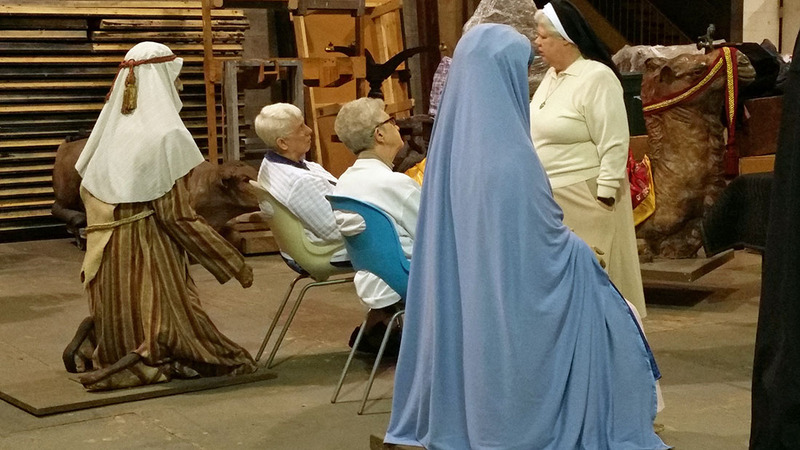 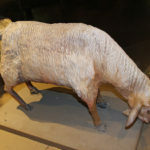 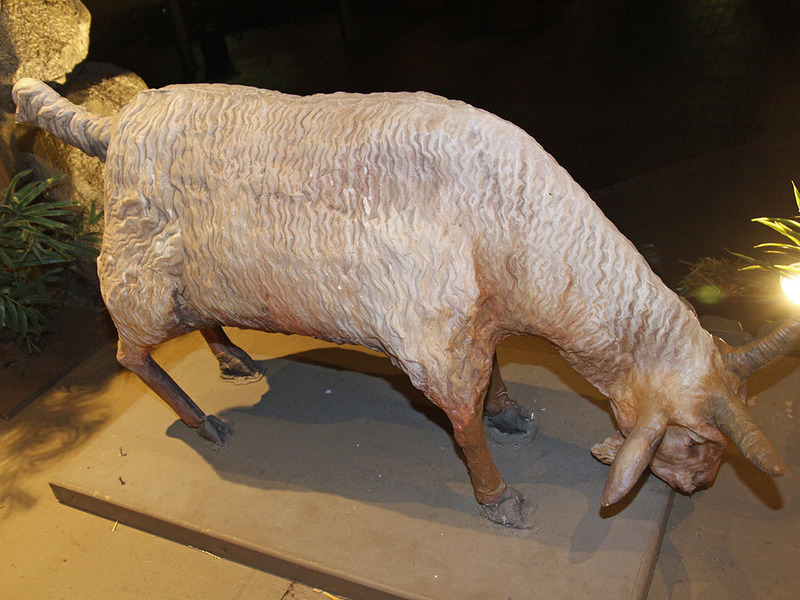 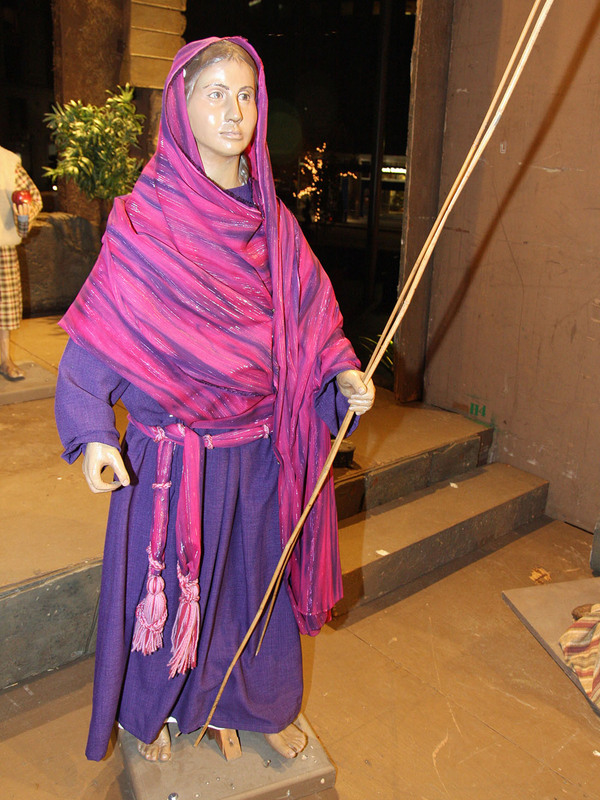 As years went by the addition of more figures to the display found the Sisters sewing clothes for each new statue. 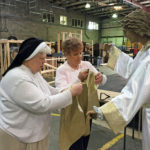 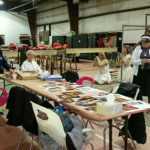 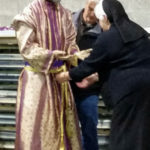 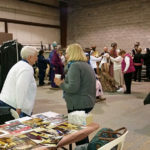 Since the demise of Sister DeChantal and Sister Patricia in the past several years, a team of Sisters of the Holy Spirit and friends of the Sisters have gathered to assist Sister Bridget to outfit and dress the figures. 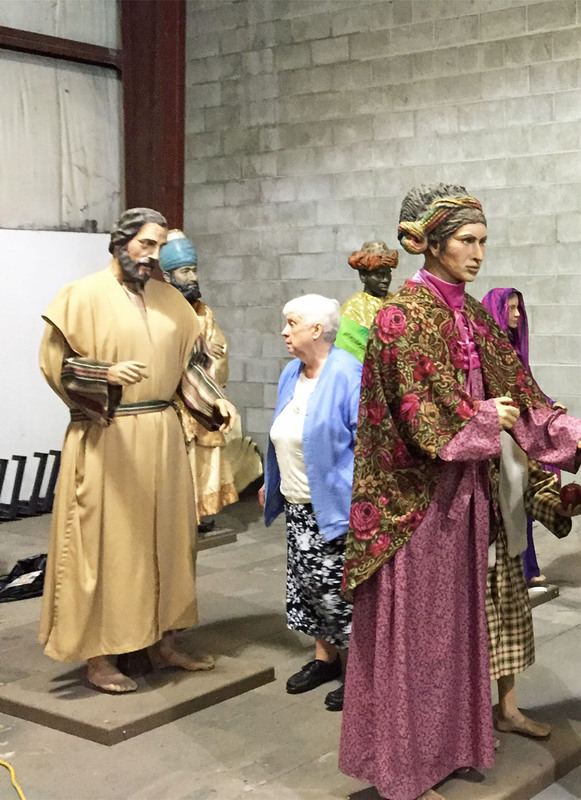 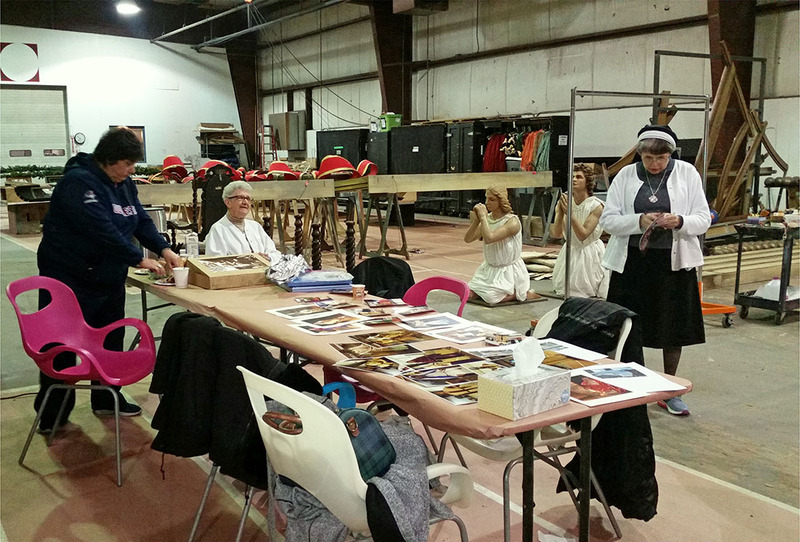 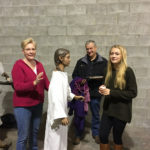 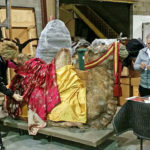 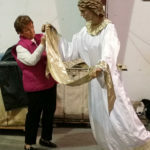 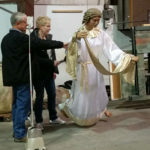 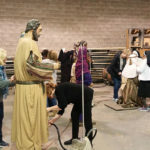 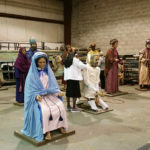 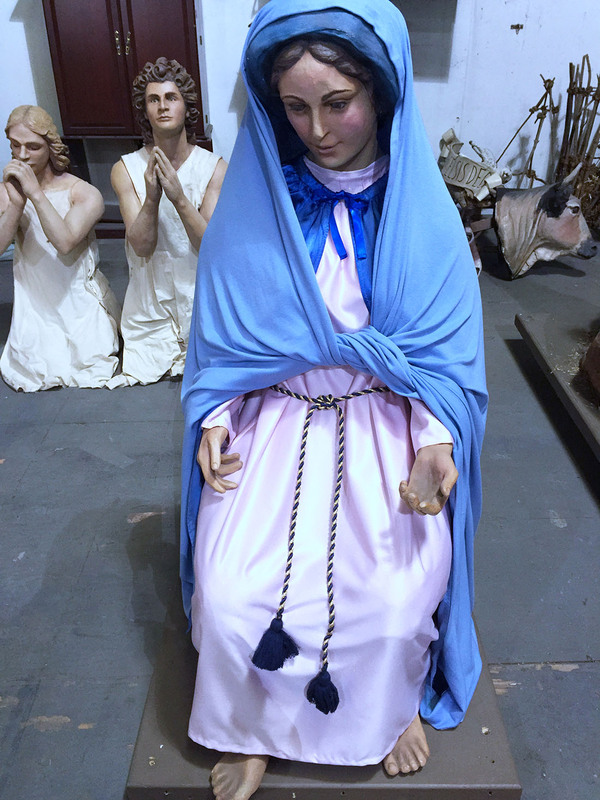 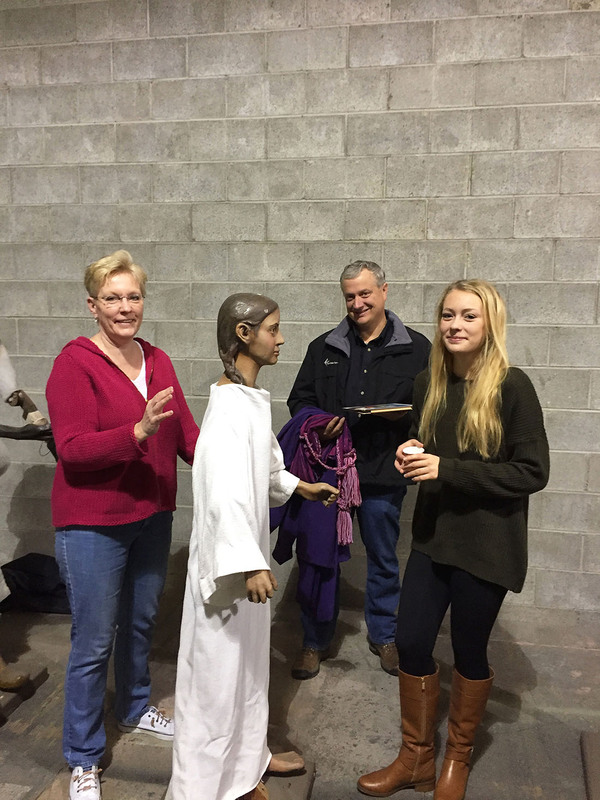 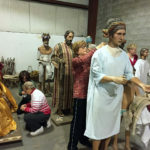 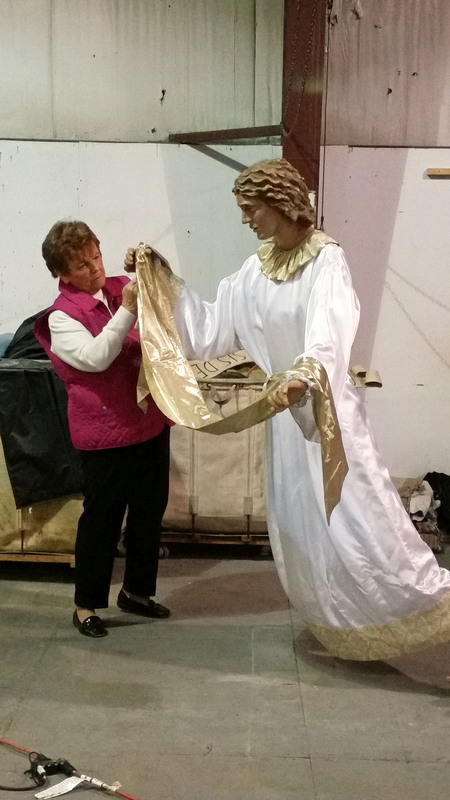 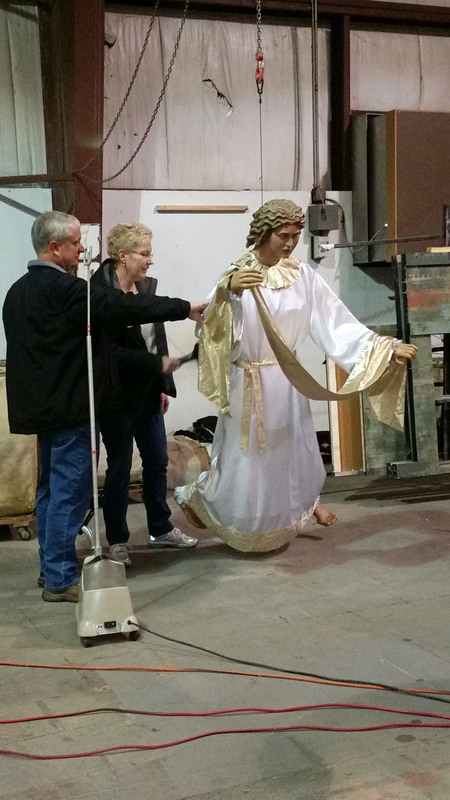 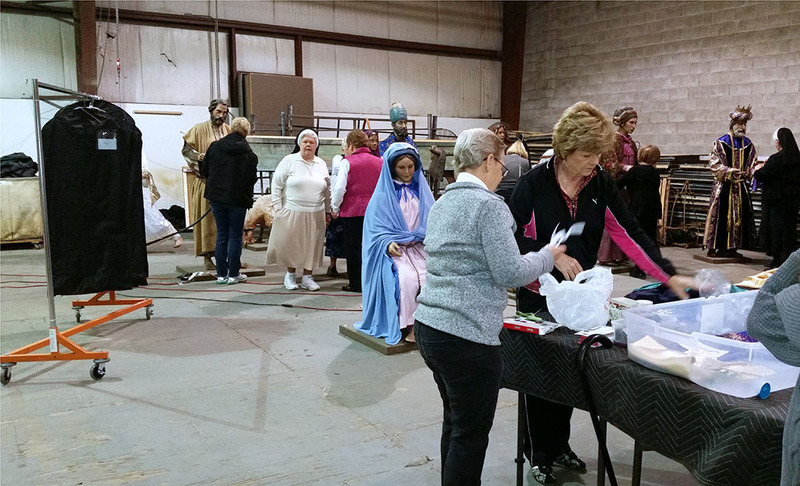 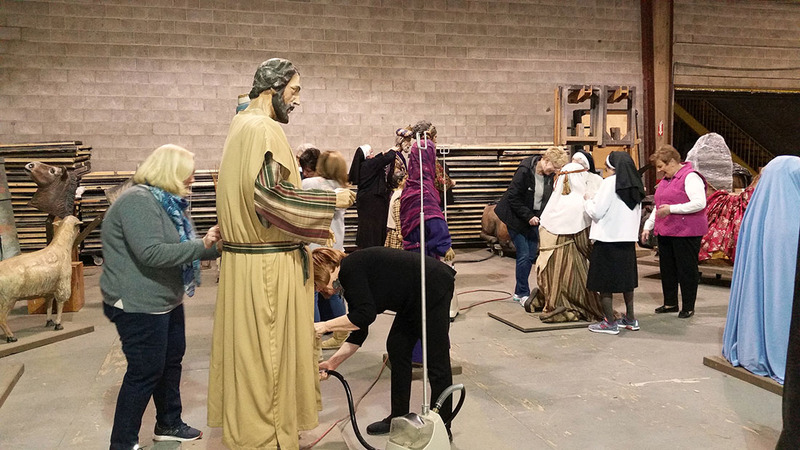 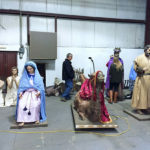 Housed in the warehouse in Springdale of the Pittsburgh CLO Construction Center for the Arts, the following photos by Paul Marcucci show the figures being “brought to life” as the team of volunteers readies the figures to go on display in time for LIGHT UP NIGHT in Pittsburgh. 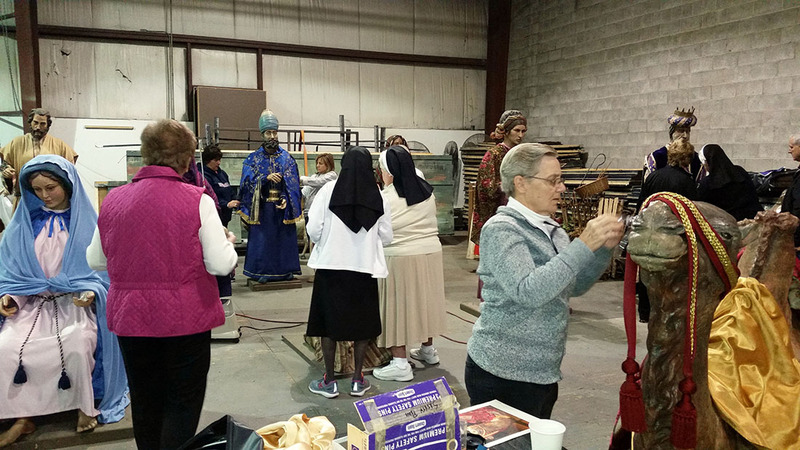 This ecumenical event is sponsored by the Christian Leaders Fellowship. 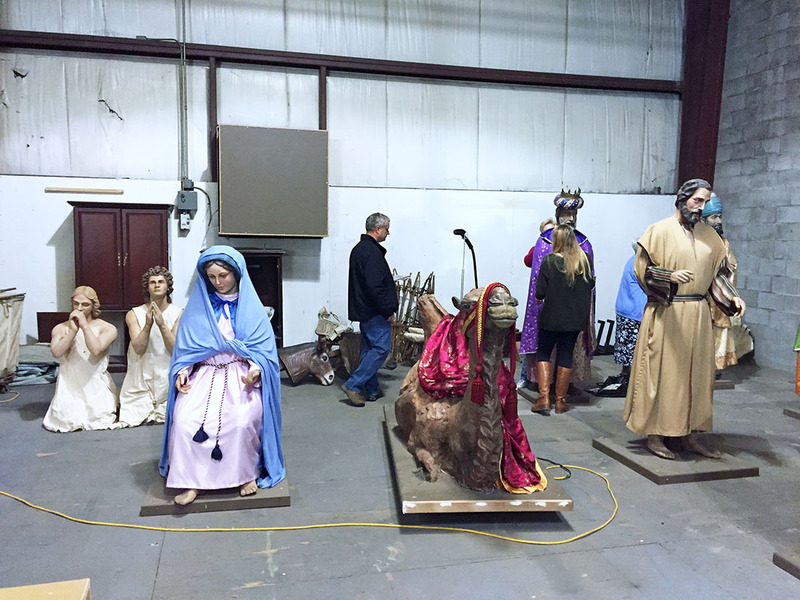 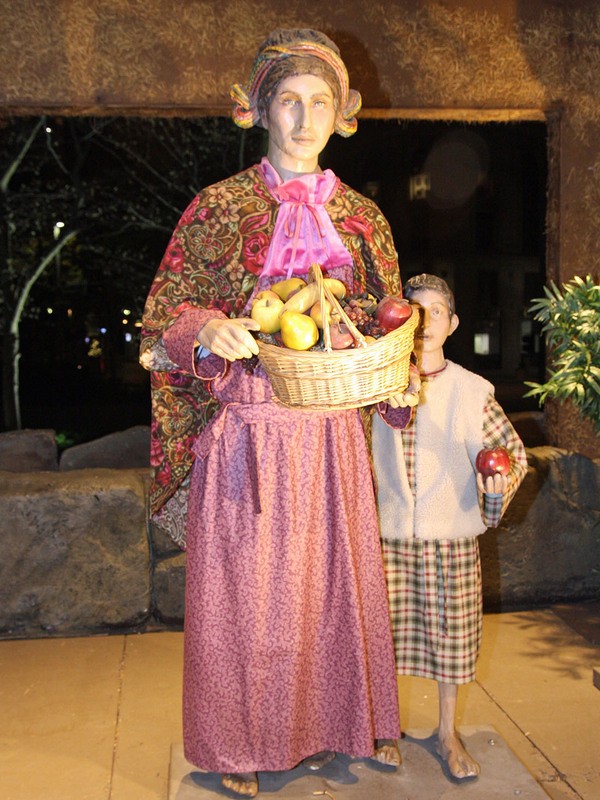 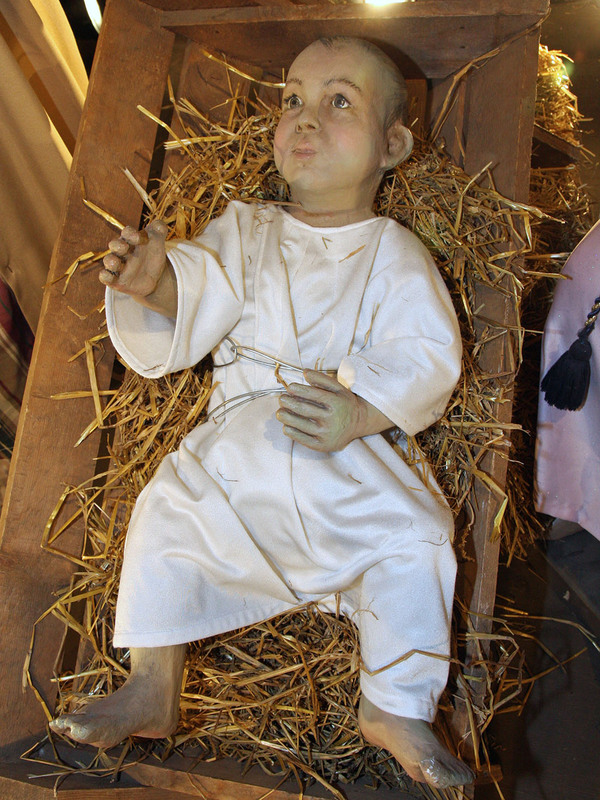 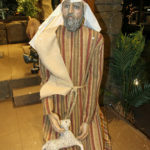 The Creche display begins on Pittsburgh’s Light Up Night, which in 2017 is on Nov. 17, and remains open until every year until Epiphany, Jan. 6.